Upside Down & Halfway to Happyland » BBtL Premier! After months of waiting, BBTL’s premier is just around the corner – October 6th, 2007! Can’t wait? BBTL has teamed up with the podcast Techno Fodder to bring you an episode one day earlier! Participate in the LIVE “call-in” or chat online show. 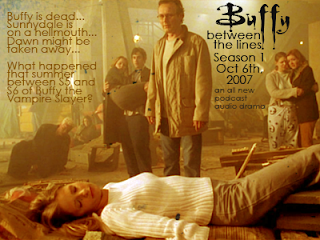 Ask questions for the cast and crew, discuss the upcoming season of Buffy Between the Lines AND get a special release of the first episode! Join us Oct 5th at 6pm PST (7pm MST, 8pm CST, 9pm EST)If you want to participate click here for all the instructions.